The harp interpretation studio focuses on new solo repertoire and interdisciplinary pieces for harp. Students will experiment and investigate new sides of the instrument and cultivate an open minded attitude towards contemporary performance and collaboration. Participants are encouraged to bring (upon prior agreement) pieces involving video, electronics, and extended playing techniques. For example: Simon Steen-Andersen: The history of my instrument, Georges Aperghis: Fidelité, Sarah Nemtsov: A deux, Marc Andre: Un-Fini I, Jennifer Walshe: Elephant. Additionally, standard contemporary repertoire, both solo and chamber music is very welcome. Participants who’d like to work on small ensemble pieces, will be assisted in finding chamber music partners. The harp composition workshop is an important part of the harp class. Participating harpists will work on short pieces by selected composers under the guidance of harp and composition tutors. 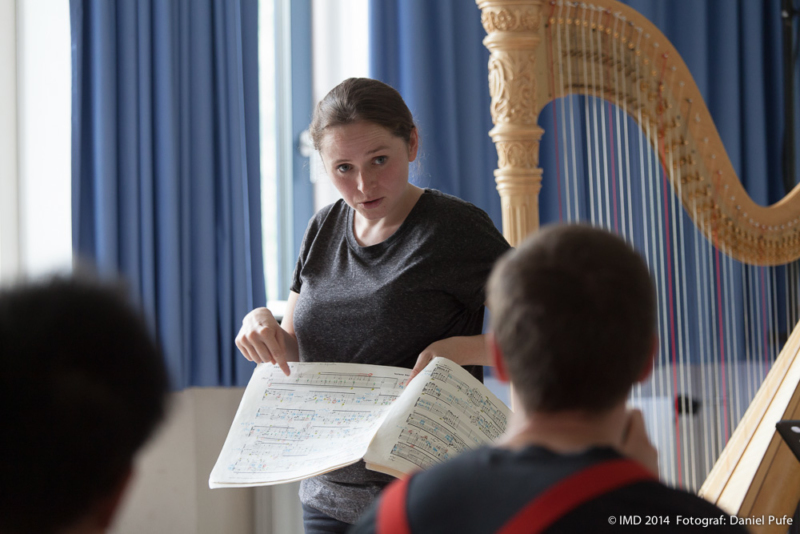 The results of both, the harp workshop and the harp composition workshop, will be presented in a final concert.